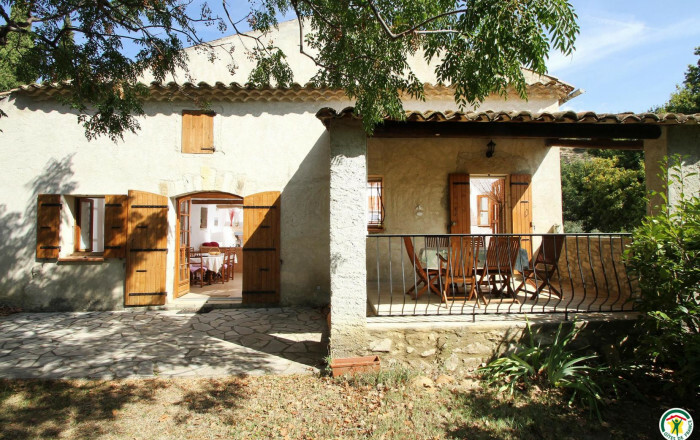 Attractive gîte in part of old family farmhouse (another part of which is rented on a yearly basis - not overlooked). Tucked into hillside between Grignan and Nyons, with a large, shady garden, this gîte is perfect for a relaxing summer holiday. Its cosy interior (fireplace) makes it equally suitable for a mid-season or winter holiday. Gîte above long-term rented property. Kitchen, lounge, dining room. 3 bedrooms (double bed) (double bed) (2 single beds), shower room, separate WC. Terrace and covered area. Extra charge for heating oil and firewood: 20E/week.